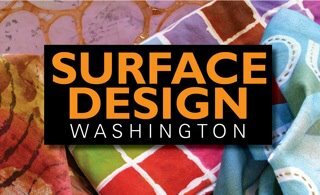 Calling all Surface Design Association Members on the Eastside! We are holding a special event to officially re-launch SDA Eastside meetings in our new home of VALA Art Center, Redmond. Non-members are very welcome so if you are interested in contemporary fiber & textile art, this is the event for you. There will be a pop-up show of members’ work, information about Surface Design Association & free refreshments – come and join us, chat to local artists & be inspired by amazing art! SDA members: if you would like to take part in the pop-up show please arrive 20 mins early & bring one or two pieces of artwork, sketchbooks, work in progress. Work will be displayed on tables so if you have table/floor easels please bring them with you. Please RSVP & let us know whether you are bringing work. We are also asking for donations of snacks to share, thanks! This entry was posted in Member Event, SDA - Washington, SDA Chapter Meetings and tagged SDA Eastside.